Welcome to the Oldfield Coil webpage! I am sure many of you do not recognize this animals name but chances are you have come across it a time or two in your life. To give you an idea, children are constantly playing in the outside and in the dirt, and they find these animals all the time. No, it is not a worm. It's a snail! 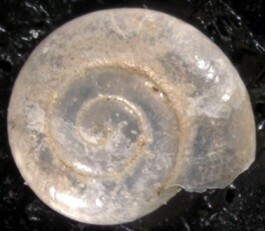 Oldfield Coil is a terrestrial snail scientifically named Lucilla inermis. It is from the Phylum Mollusca and located in the United States and a small amount in Mexico. The snail is not known for being bright and beautifully colored. It is mostly pale and one color overall. In 1929 L.B. Baker identified Oldfield Coil. Feel free to browse around the site and let your mind fill with snail facts. I hope you enjoy learning about L. inermis while viewing my webpage! To view more websites made by my fellow UW-L classmates visit Multiple Organisms. For more information on land snails visit Wisconsin land snails.